This conception of reality as being at once an unreality, while at the same time not an illusion at all, brings to light another concept intimately connected to psychoanalysis, the concept of the Imaginary. The Imaginary is greatly elaborated in the later psychoanalytic tradition, most notably by Jacques Lacan – Lacan had read about Ibn Arabi by way of Corbin. As the religious studies scholar William Chittick elaborates, Ibn Arabi perceived the Imaginal world as an intermediate realm, a world in between the spiritual and the corporeal. As Lacan would later do, Ibn Arabi theorised the example of one’s own reflection in the mirror. Is my image in the mirror real or unreal? In one sense it is, and in another sense it is not. This clarifies the nature of the Imaginary as both existent and non-existent. The affinities between mystical Islam and Freudian thought are clear, and deep. But did Islamic thinkers make these connections between psychoanalysis and Islam? They did, often pointing to the shared traditions of dream interpretation, as well as the shared technique of understanding texts and dreams through the relationship between the latent and manifest meaning of religious knowledge. 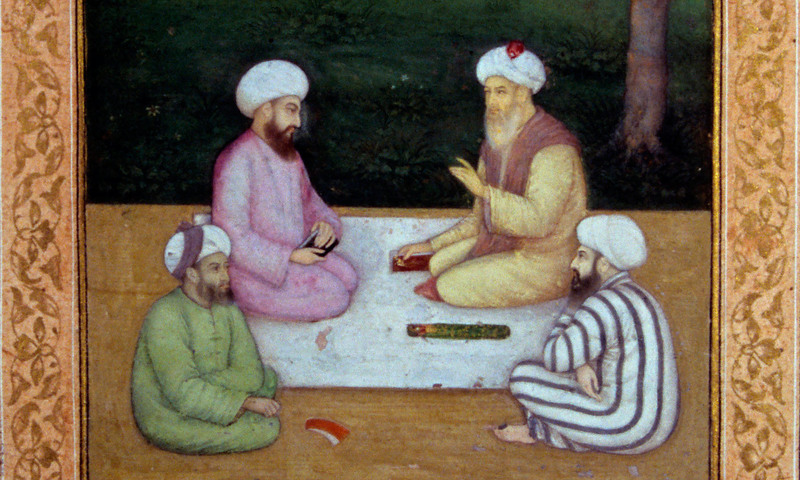 Islamic thinkers also recognised the uncanny resemblance between the analyst-analysand and the shaykh (or spiritual master)-disciple relation in Sufism. The mid-20th-century Egyptian Abu al-Wafa al-Ghunaymi al-Taftazani, a shakyh of a Sufi order and later a professor of Islamic philosophy and Sufism at Cairo University, began writing about Sufism in the 1950s. He was widely read in Egypt and beyond, and he often compared Sufism and the psychoanalytic tradition. In particular, al-Taftazani noted that both Sufism and psychoanalysis relied upon an introspective method; both engaged not with the manifest content of the psyche or soul (nafs), but with its latent content, a domain often marked by sexual desires. Most importantly, both exhibited a concern for the batin or the realm of hidden meaning, as well as for the inner reaches of the unconscious (al-la-shu‘ur). The Sufi shaykh, much like the analyst, he observed, must ascertain unconscious thoughts and desires from his disciple, in order to facilitate a transformation of the self. Sufism and Freudianism were obviously closely related. Abd-al-Halim Mahmud, a scholar of Sufism who would eventually become Grand Imam of Al-Azhar, noted that ‘every Sufi master is a “psychotherapist”, so to speak’. The relationship between the Sufi shaykh and his disciple is, then, one of attunement with potential for psychotherapeutic transformation. Sufi practitioners understood their struggle to be part of a larger battle between the noble and ignoble tendencies of man. Al-Taftazani emphasised that Sufis aimed to attain direct knowledge and love of God. They sought a mystical union with God, annihilating the ego-self, in which God remains as a sublime excess. It was not, al-Taftazani pointed out, a subjective and individual self-exploration; it was a union with the divine. Freud would likely have seen Sufism as ‘nothing but psychology projected into the external world’, but to al-Taftazani and others it was as an ethical path toward the divine. Al-Taftazani’s engagement with the Freudian tradition is just one example from the mid-20th century Arab world of the exchange between psychoanalysis and Islam. It was a sympathetic and creative exchange, involving a mutual recognition, and built on genuinely shared and deep affinities between Freudianism and the Islamic mystical tradition.